…a superb singer, a subtle actress, and a compelling interpreter of lyrics. In some 40 years of reviewing cabaret, I have never seen a better show. …each new song brings a new character, almost carrying away the real Ms. Williams and replacing her with a separate life. 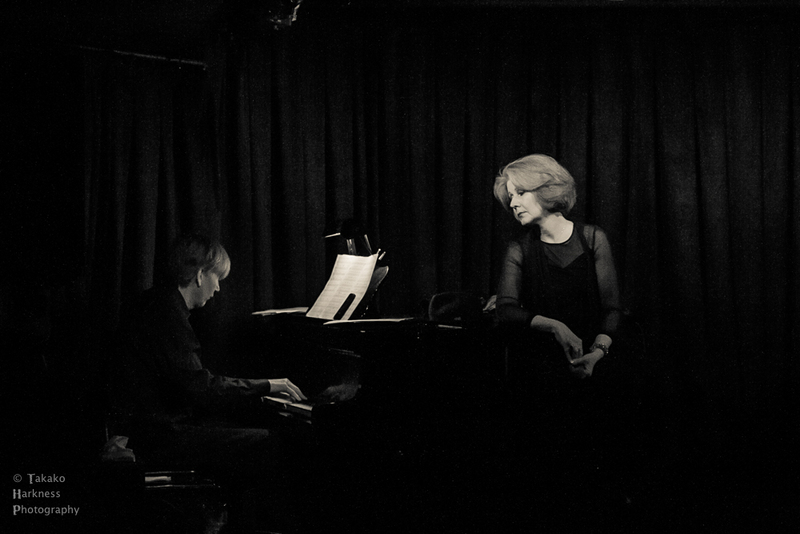 So rarely does this type of voodoo occur in cabaret venues that saying Williams enchanted the room would be a monumental understatement in regard to her brilliance. 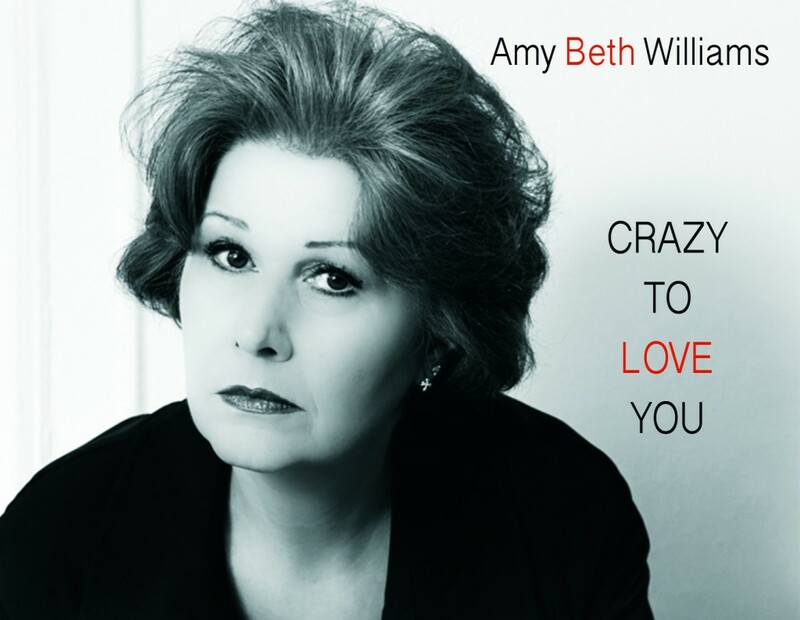 In addition to being an exceptional singer and actress, she has become Amy Beth Williams the compleat entertainer and Amy Beth Williams the daredevil. 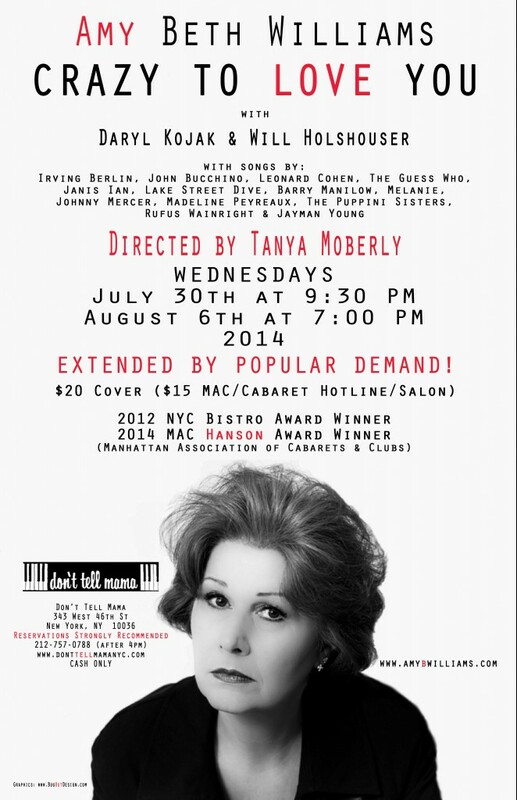 Be on the look-out, New York, when Amy Beth Williams returns with this show. 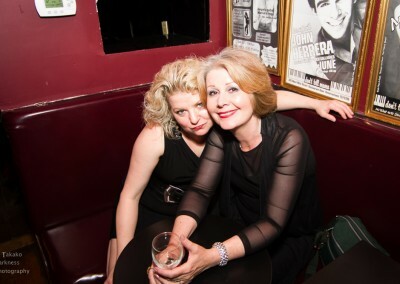 She is a perfect model of why cabaret is one of NYC’s most precious and lively arts. Her encore for the night was Pink’s “Glitter in the Air.” Indeed there was. Amy Beth Williams’ coloratura soprano, stage presence and interpretive skills always delight. 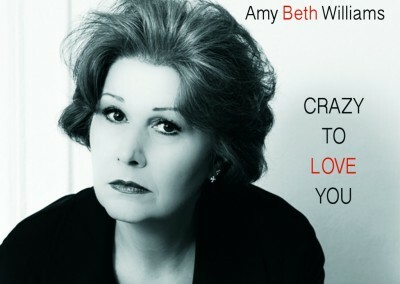 Amy Beth Williams is a veteran NYC Cabaret Artist, Teacher, and Performer. She has been performing her solo cabaret show in New York City at the Metropolitan Room and most recently at Don’t Tell Mama. She is the recipient of 2014 Hanson Award – M.A.C., 2012 Bistro Award for Outstanding Vocalist, and the 2010 Metrostar Talent Challenge – 2nd Runner-Up.